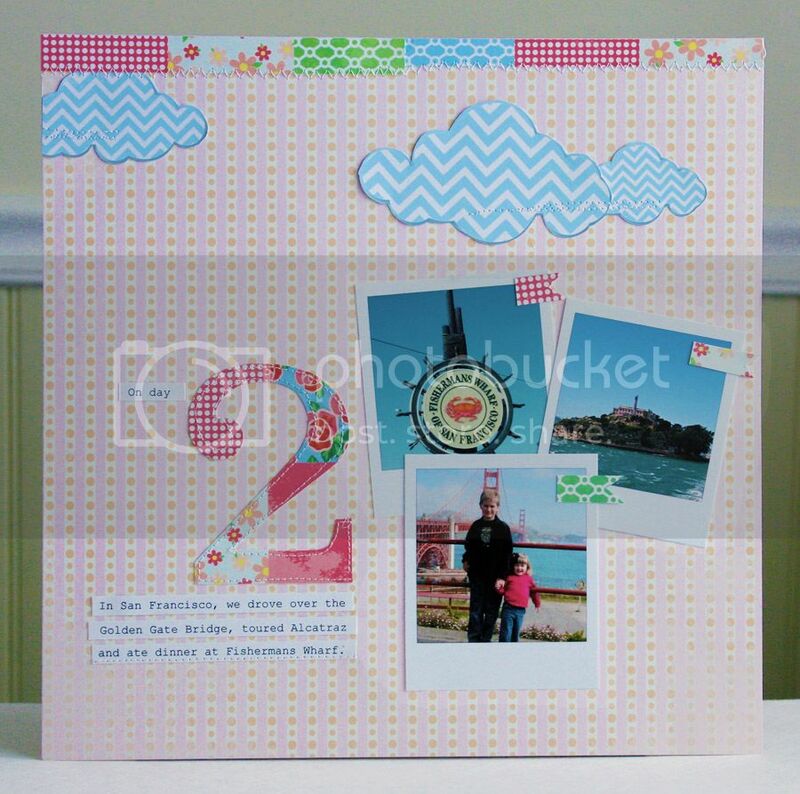 It's numbers week over on the GCD Studios blog, and today I have a layout to share that focuses not only on the photos, but a number too! This was day 2 on our trip to San Francisco, and I picked a few of our favorite activities from that day to highlight. 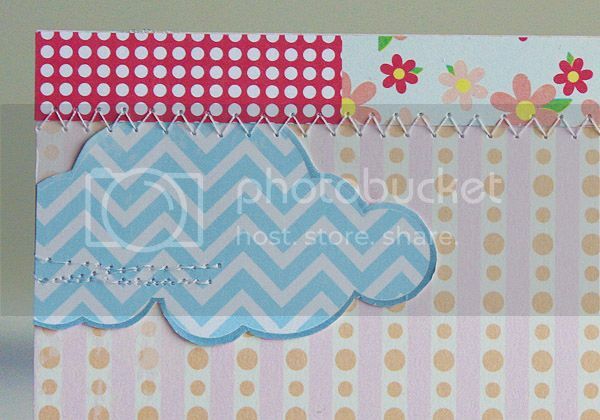 I did a bit of fussy cutting for the clouds, then added a little machine stitching for just a bit of texture. I love the colors in this one, and love how quick and easy it came together! oh...it's wonderful..so cheerful. Love the colors. I will pin it right-away! Love the 2 and how it matches the strip on top. Also like the polaroid looking photos. Great layout Mary Ann! Fantastic style! Love your chevron clouds! Great page! Cute way to remember your trip. Love the colors and the very fun 2.